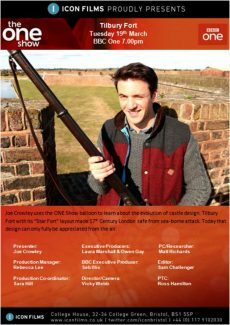 The One show in Tilbury! This is the poster from the programme The One Show that was filmed in the Tilbury Fort in March 2013. Did you see it on the TV?